For sale is my Nikon D3100 which I bought as my first step into the world of SLR photography. I am only selling because I have recently upgraded my camera to a D7200. 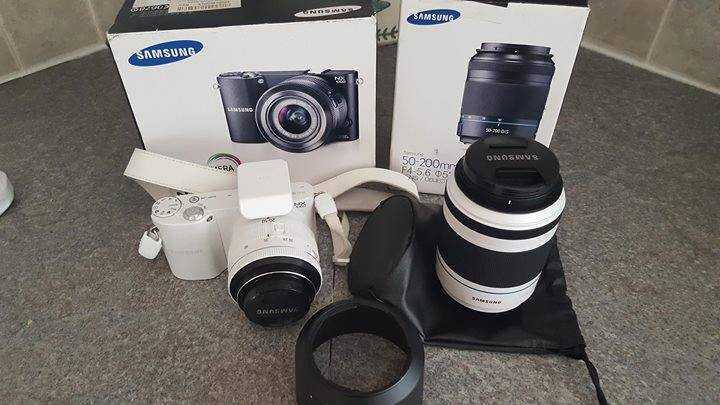 I am selling the starter kit - Nikon D3100 + 18-55mm zoom lens (w/original box)... ...with... ...the 55-300mm telephoto zoom lens (w/original box)... ...plus... ...extra genuine Nikon battery, 16mb Sandisk memory card, USB cable, Jessops lens cleaning kit and 2 books on the D3100 and how to get the most out of it. The shutter count of the camera itself is 6232 and both lenses come with UV filters included. I always treat my equipment with a lot of care so buyers have the assurance that everything is in top condition. I will also pack everything very securely. All in all this would make a great starter kit for anyone wanting to get into SLR photography.